All summer long we'll be re-capping some of our favorite Mystery Playground Drinks with Reads posts every Sunday. 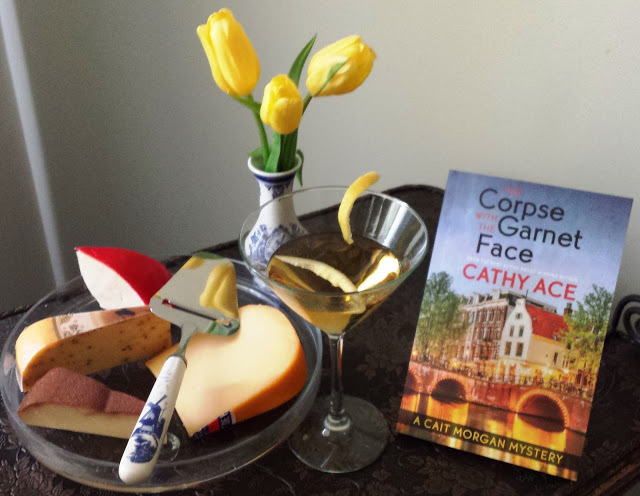 We thought we'd start with our most frequent contributor, Cathy Ace. She has done posts for both her Cait Morgan and her WISE Enquiries series. 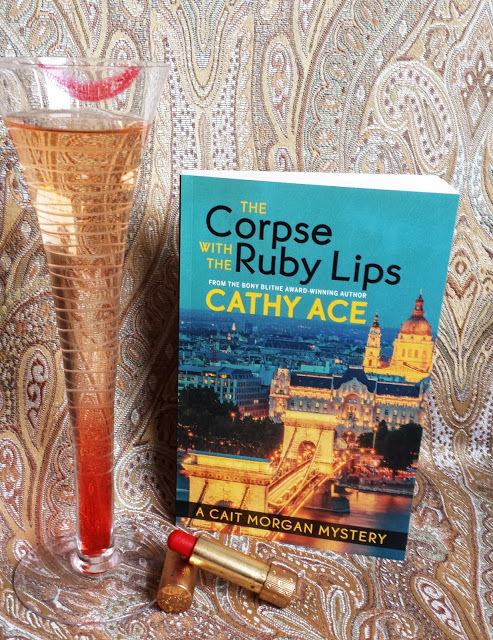 Today we're taking you through her Cait Morgan series posts. 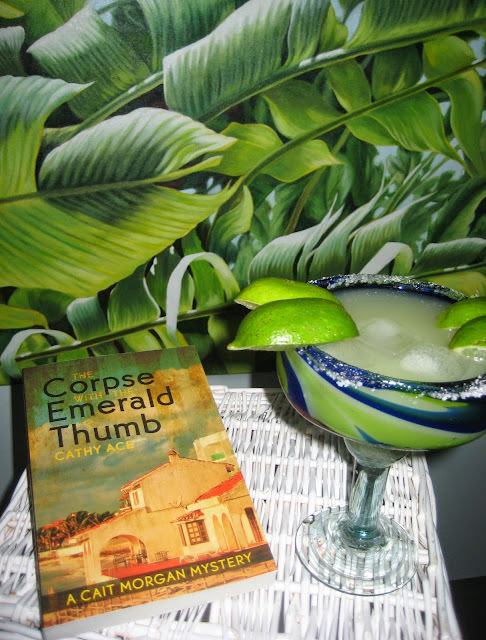 The Corpse with the Emerald Thumb with Lime Margaritas. 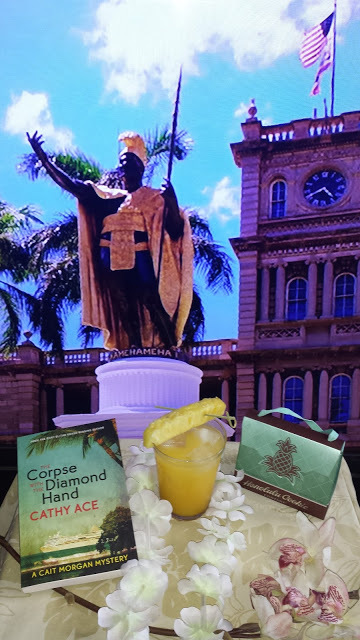 The Corpse with the Diamond Hand and the Mai Tai. 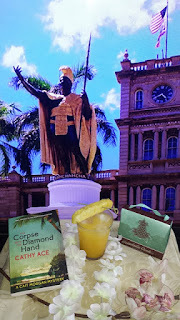 The Corpse with the Garnet Face and the Holland Gin Cocktail. 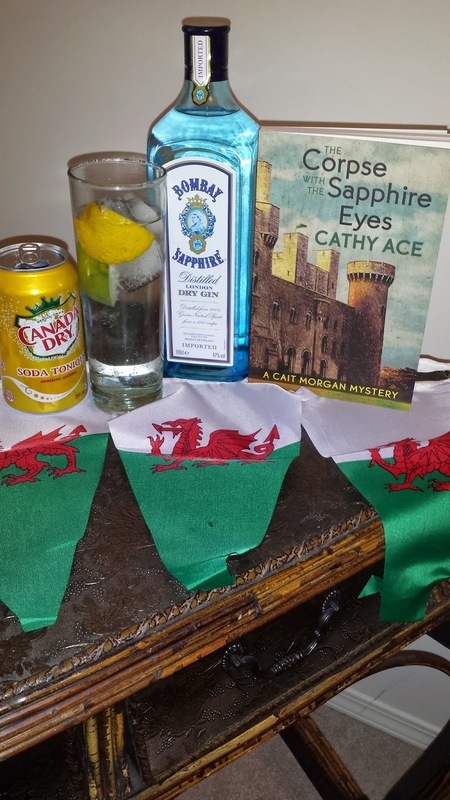 The Corpse with the Sapphire Eyes and Bombay Sapphire Gin. 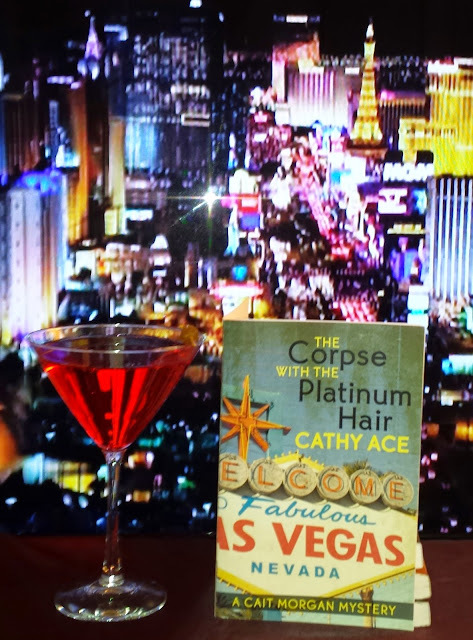 The Corpse with the Platinum Hair and the TsarTini. The Corpse with the Ruby Lips and a Champagne Cocktail. Come back next Sunday for more vintage Drinks with Reads.